Software piracy is rife in 2017 and using Clickteam Fusion 2.5 free pirate version is certainly not the way to go. There are many, many reasons why you should not use a pirated or torrent version of Fusion 2.5 or even a Clickteam Fusion 2.5 crack, but here, I will list the top five reasons why you shouldn’t. This list is truthful and factual of the potential hazards of downloading a Clickteam Fusion crack or a Clickteam Fusion torrent. Every single day Clickteam are fixing bugs, making improvements and implementing new features into Fusion 2.5 making it a pro-active game development tool. If you are using a cracked version of Clickteam Fusion 2.5 you are not and will not receive these updates. Most cracked versions are very, very old and you will be facing a barrage of bugs and failures along the way. You will not be able to work around these bugs or software issues without the latest version. You will have zero exporter compatibility or support. The Clickteam exporter range provides an additional plugin to the Fusion 2.5 core that allows for exporting your games and apps to the likes of Android, iOS and the Web. However, these will not work with the cracked version of Fusion 2.5. Also, to boot, they will not be updated either which means even if they did, you and your users would face several issues as you wouldn’t have the correct bugfixes so your game/app would eventually be inundated with negative reviews and 0 stars. That app you just downloaded from a torrent or a crack site apparently called “Clickteam Fusion 2.5”, how do you know what has been done to it? For example, for a software to be cracked, it has to be reverse engineered as sorts, it then has to be recompiled into an executable. 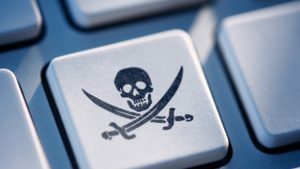 In 98% of cracked and pirated downloads, there is also malicious code put in from the hackers. You maybe wondering why? Ask yourself, if someone has taken time out of their precious lives to hack Fusion 2.5, re-assemble and distribute it to you for free, what do they gain? Nothing. Which is why 98% of pirated downloads contain keyloggers, trojans and/or viruses. Keyloggers are very dangerous. You do not know they exist. They track every keystroke you make on your computer. So if you are checking your online banking or logging into your email, everything you type (including passwords) are logged and send back to someone else. Identity fraud is very real in 2017 and it’s through malicious acts like this, where most fraud is committed. Ask yourself this again, why would somebody do something free for you, with 0 return? Keyloggers are transparent and undetected most of the times. Remember that. You will gain zero support from both Clickteam nor the Community using a pirated version of Clickteam Fusion 2.5. 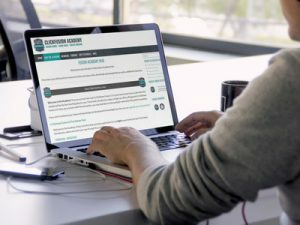 The Clickteam Community contains a special Passport System that enables you to register your serial number. Your serial number is unique to you and you only, when you purchase Clickteam Fusion 2.5. Clickteam will not provide support without a valid number (unless you are using the Clickteam Fusion free version). The community will be very unwilling to help also. The community pride themselves on being one of the most pro-active and most helpful community around, so they don’t want to waste their time on people who don’t wish to support the product they love. Clickteam has been around since 1994. The first ever company to pioneer a visual, drag-n-drop, event-based software to allow absolutely anybody to make their own games and apps with no programming at all. Being around for 23 years is a long time and all of the products are worked on, improved and maintained daily by the team. However, everytime someone downloads a pirate or cracked version of Fusion 2.5, you are taking money away from the team. Not only are all the previous points bad enough but without a Clickteam, there is no product, no support, no future updates and no further developments. The investment to purchase Clickteam Fusion 2.5 is a lifetime investment you make. You make that one small investment and you have a product for life. A product with continued support, updates, improvements and much, much more. 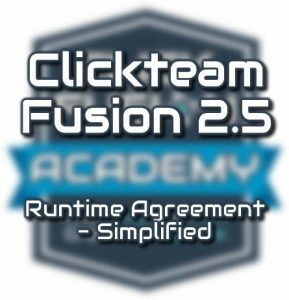 If you would like to try the free version of Clickteam Fusion 2.5 or purchase the full version, click here. I hope you take heed of the top 5 reasons above to not download a Clickteam Fusion crack or a Clickteam Fusion torrent. There are many, many more reasons but the above ones are the most important as to why not. I am waiting till humblebundle have a good deal(I missed the last one by a week DOH! ), I am using the free version at the moment, but it is quite limited. Does Clickteam often have promotions on their software? Wow, i did not even know you guys are fixing bugs everyday. I Rarely see an update too be honest. But an pirated version is always a bad idea! Thats why i am happy i bought mine in the humble bundle.